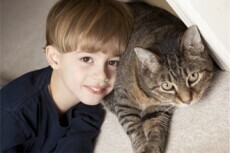 Above & Beyond Animal Care™ is a full-service veterinary medical facility, located in Avon, IN. Our warm, professional staff will provide the best possible medical, surgical and dental care for our highly-valued patients. We are committed to promoting responsible pet ownership, preventative health care and health-related educational opportunities for our clients. Above & Beyond Animal Care™ strives to offer excellence in veterinary care to Avon and surrounding areas. Please take a moment to contact us today, to learn more about our veterinary practice and to find out more information about how Above & Beyond Animal Care™ can serve the needs of you and your cherished pet. 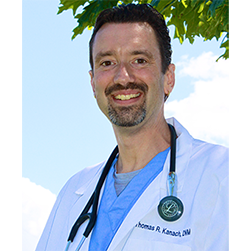 Dr Kanach is a 1993 graduate from the Purdue University College of Veterinary Medicine. He has been in private practice for 19 years and continues to enhance the profession with his commitment to offering the latest medical advances and scientific research to the local community. He is an avid cyclist with 4 beautiful children and 3 adorable labradors! Veterinary medicine has been my passion since I was 9 years old. It began as a love for animals and has developed into a love of the medicine behind caring for animals. I have been a part of the Above & Beyond Animal Care team since 2003. What makes this practice special is the continued drive to be better than yesterday. We pride ourselves in providing the best care for our patients and work tirelessly to achieve that. 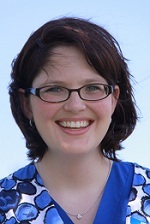 I graduated from Purdue University with my Associate’s degree in Veterinary Technology in December 2000. I have been a licensed technician since 2001. In May of 2002 I graduated with my Bachelor’s degree from Purdue University as a Veterinary Technologist. Outside of my career I keep very busy with my husband Michael and my daughter Kylee. As a family we love to cheer for the Indianapolis Colts. The hobby I enjoy the most is crochet. My grandma taught me how to crochet as a young child and I have always found it to be a source of calming. My favorite place I have ever visited is Ireland.